It's just crossed my mind...as I'm sitting here typing, on this cold, grey, rainy Saturday afternoon...that I've become so unspeakably bored with my cosmetics collection, that I haven't even felt like wearing any of it lately. It's a fabu-licious collection, mind you; I can't knock a single item. They're very dear cosmetics, and I'm still happy to see them nestled in their drawer. I really don't know what my problem is. I'm trying to put my finger on it I suppose. I went on a "zen haul" at Longs Drugs fairly recently, just to see what was happening at the drugstore. Not much temptation. The L'Oreal Colour Juice Sticks looked inviting enough, with their fruity scent, but they were $10 a pop. The Milani rack had completely disappeared--don't know if it's coming back or not. 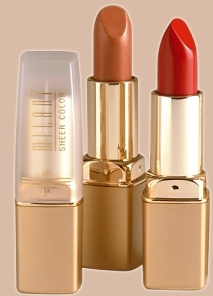 Was going to check out the Milani sheer lipsticks I keep reading about, but no dice. 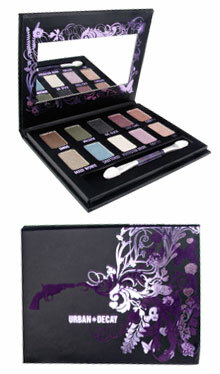 I'm sorry, but that has to be one of the worst photographs of an eyeshadow palette ever. 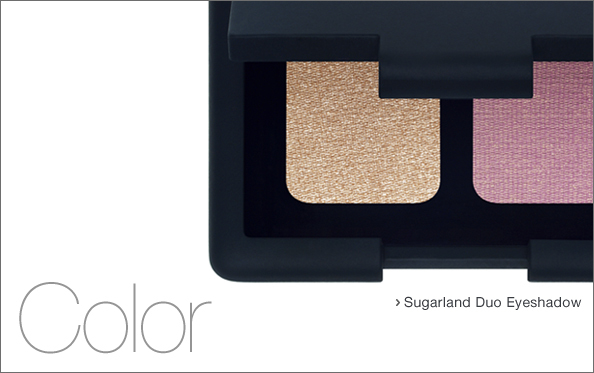 Still, at $34, you can try 10 different, interesting-looking shadows. You could do a lot worse. That, and their 24/7 eyepencil in Bourbon, described on the site as "brown w/ teeny gold glitter." How cute is that? 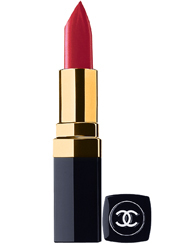 I've been drooling intermittently over getting a full size of Chanel Hydrabase lipstick. The one shade I've tried is Moiré, in lovely sample form (that's not Moiré in the pic, just a stock photo). This is just really good lipstick. Medium coverage: more "there" than your sheer, less maintenance than full coverage. The candied rose scent is a bonus to me; it's addictive, and the formula is nourishing...almost dry on the surface, yet intensely moisturizing, so the whole works stays put and gives you baby soft lips. How about that for mouthwatering? It would take me days to figure out which ones to buy. Although I suspect, somehow, that each duo would work for me. These are all mainstream brands. I would be curious to try something smaller, too. Okay I feel better now.